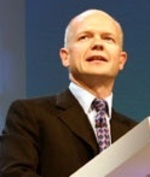 Telegraph: "William Hague will lead a team of senior Conservatives to Washington tomorrow on a mission to heal the party's bruised relationship with the Bush administration... The two-day Washington visit is partly designed to project the Tories as on their way back to power. According to Dr Fox, who will spend a day in the Pentagon, the Tory relationship with the Republicans is moving from "party-to-party" to "very much future government-to-government". However, the Tories' traditionally close relations with Republicans were badly fractured in 2004 after Michael Howard, the former Tory leader, expressed regret for backing Tony Blair's case for the war with Iraq." Times: "William Hague will tell President Bush to show some “leadership” on the environment when he leads a delegation of senior Conservatives to Washington this week. The Shadow Foreign Secretary will use a speech to foreign policy experts on Thursday to welcome the President’s description of the US as “addicted to oil”, but will urge him to go further to tackle climate change. “I will certainly be using part of the speech I’m giving on Thursday to call for American leadership on climate change and for them to carry forward what he talked about,” Mr Hague said yesterday as he announced his itinerary." FT: "Between them, William Hague, shadow foreign secretary; George Osborne, shadow chancellor; and Liam Fox, shadow defence secretary, are expected to hold talks with Condoleezza Rice, secretary of state; John Snow, Treasury secretary; Ben Bernanke, the new chairman of the Federal Reserve; and Karl Rove, President George W. Bush's chief political adviser." Times: "The significant coup for the Conservatives is to secure a meeting with John McCain, a possible Republican presidential candidate in 2008. That takes place on Thursday." ViewLondon: "The Tories will also meet with several democrats at a discussion organised led by Madeleine Albright, a former secretary of state." Heritage: "In his speech to The Heritage Foundation’s new Margaret Thatcher Center for Freedom, Dr. Liam Fox will explore the factors that make the special relationship work and assess the challenges that lie ahead for the United States and the United Kingdom, from the NATO operation in Afghanistan to the Iranian nuclear crisis, and the growing threat of international terrorism." Fine as far as it goes. . . But these guys might want to spend some time learning how to win elections at home before getting too interested in global geopolitics. I agree with Magic Aldo, but it is also important that the UK electorate believes the Tories are credible on the international stage as well. Hopefully this will help. And maybe discuss membership of the North American Free Trade Alliance? "William Hague will tell President Bush to show some “leadership” on the environment when he leads a delegation of senior Conservatives to Washington this week." to do anything. A bit of humility and respect would be in order to mend relations. to do anything. A bit of humility and respect would be in order to mend relations." Nonsense. George Bush is surrounded with enough yes-men as it is. It's about time somebody attempted to talk some sense into him and tell him the cold, hard truth about the damage that the "I'm alright Jack" policy of the US is doing to the world. And no doubt Mr Bush would rightly tell William Hague where he can put his baseball cap. By the time of the next election Bush will be gone, and the Party certainly does not need to pander to him. 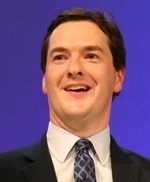 He is very unpopular in the UK anyway, so associating with him will not exactly have positive effect. Dr. Rice, however, is an incredibly talented woman, and certainly has a long future in politics - it is only right that the Tories should build a strong relationship with her. Remember that much of Cameron's appeal hinges on the fact that he is "modern" and "the future". Bush is not "modern" in the slightest, and by 2008 he will definitely be the past. We can't speculate as to who will stand for the 2008 presidential elections, but I imagine given Bush's falling popularity they will attempt - even very subtly - to distance themselves from his administration, even if they are a part of it at the moment. Getting close to these people, whomever they may be, is thus crucial. Party needs to talk to the Democrats also... Afterall the republicans are absolutely going to lose the 2008(?) Presidential Election...In a simple 'feeling of change' movement. Hague is not dumb, he is tactful in his approach. Jaz, your Democrat party fanaticism has been noted in the past, and has been noted again. Yes, the Conservatives do need to talk to the Democrats, as well as the Republicans - but it is nowhere near certain that the Democrats will win the next Presidential Election. The Conservative Party don`t need to learn any lessons from Bush and the present administration in the U.S. If we stood on the extreme platform Bush has had these last six years the party would get slaughtered and rightly so. People will not vote for extremism in this country. "The Conservative Party don`t need to learn any lessons from Bush and the present administration in the U.S."
Apart from how to go about winning elections. Regardless of current disagreements between the Tories and the Republicans over the conduct of the Iraq war, it can only be a welcome development that senior Tories are seeking dialogue and communication with those across the atlantic. Any future Conservative administration needs close ties with the wider world, and this action represents this understanding. I don't think the question is one of deference to George W. Bush or dictating to him. I think the salient point here is that contact is re-established, which forms a basis for future co-operation with a possible future Republican administration. (Or a Democratic one, for that matter). Absolutely Sam.I have developed quite a dislike to the current US administration but am realistic enough to know that it is always extremely important that the Conservative party enjoys close links with the American government. However friendly relations will I hope not involve our party always accepting American analysis of world problems and I hope we will be strong enough both candid with the Americans and always put British interests first and foremost. If any of the Tories are meeting Cheney make sure they wear a flak jacket. I know the Administration is beholden to gun nuts but the VP shooting on sight is taking things too far. "If we stood on the extreme platform Bush has had these last six years the party would get slaughtered and rightly so." In what sense has Bush stood on an "extreme" platform? President Bush is actually pretty centrist. He has spent big, and has involved federal government in areas such as education that are traditionally matters for the states. If the war on terror is extreme, then that makes Joe Lieberman an extremist. Personally I think removing murderous dictators and promoting liberty is a moderate and refreshing thing to do. If it's the social stuff that is considered extreme, that merely reflects a difference between Britain and America - Americans being less likely to advocate decadence and debauchery than Britons. I also really like guns.